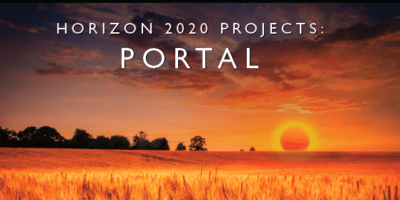 Horizon 2020 is a EU Research and Innovation programme – in addition to the private investment that this money will attract. It promises more breakthroughs, discoveries and world-firsts by taking great ideas from the lab to the market. 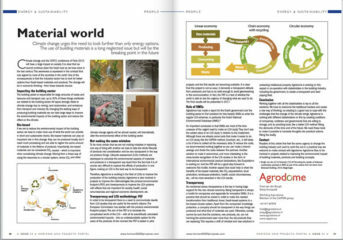 In the accompanying magazine Agrodome published three articles. Climate change urges the need to look further than only energy options.The use of building materials is a long neglected issue but will be thebreaking point in the future. Climate change and the COP21 conference of Paris 2015 will have a large impact on society. It is clear that we cannot continue on the fossil road as we have done in the last century. This awareness is expressed in the contract that was signed by most of the countries in the world. One of the consequences is that the industrial sector has to look for better options than fossil-based materials and products. The change will be in economic thinking – from linear towards circular. Climate change urges us to look further than energy options alone, and the use of building materials is a long-neglected issue that may prove to be the breaking point in the future. 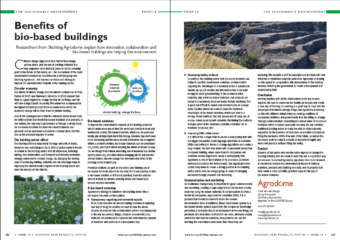 In this article, we – the researchers of the Cycle Assessment Procedure for Eco-Materials (CAPEM) group and Stichting Agrodome – will express our vision and strategy to improve the environmental footprint of the building sector. The importance of setting real big steps towards a circular economy is increasing every day. That we have to leave the devastating linear economy behind is clear, but the ways in which we change to a circular, bio-based economy are not clear at all. 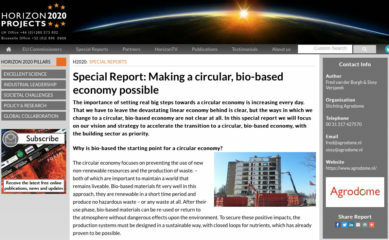 In this special report we will focus on our vision and strategy to accelerate the transition to a circular, bio-based economy, with the building sector as priority.